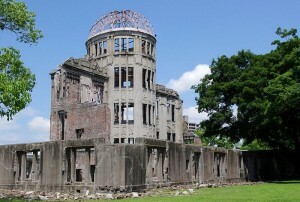 There is enough information in guide books about Hiroshima, so there is no need to say anything more. 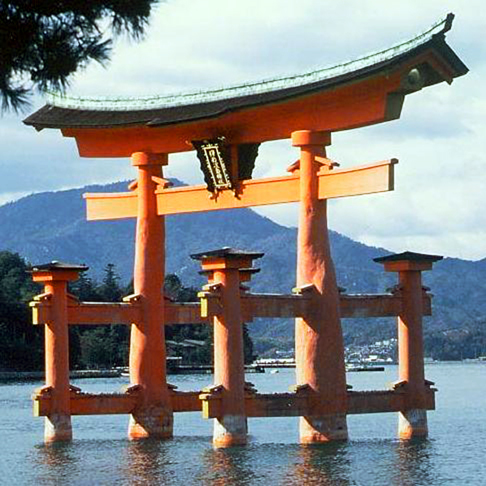 While at Hiroshima you should see Miyajima. It is about 20 minutes from Hiroshima station and then a very short ride to the island. This is a beautiful shrine built right on the water. Beyond the shrine and small town is a mountain that is difficult to climb but worth it. There are temples along the way. It would be about a two hour walk with many steps. But you can take the rope way down and there is a tea house at the bottom of the way. Of course, you could also take the rope way up. There is plenty of information about Miyajima available. Lots of monkeys and deer.